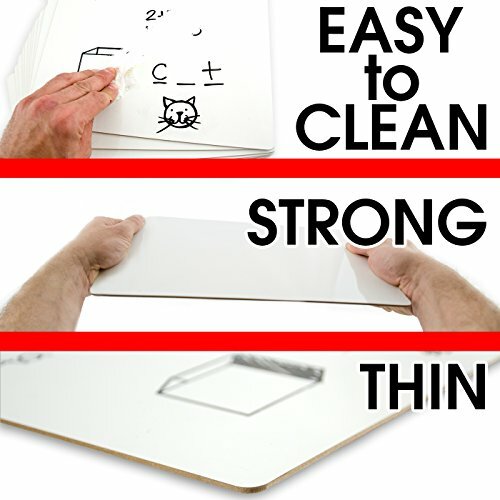 Dry Erase Lapboard is for every Teacher or Parent who needs a space for students or children to brainstorm, practice writing, math problems, English, languages, drawing or any other subject, or even just doodling but can't keep buying reams & reams of paper. 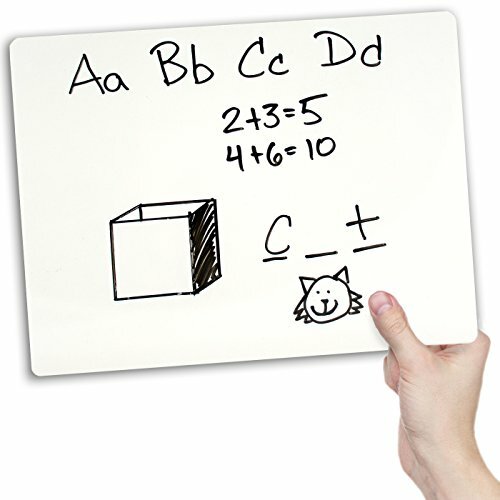 The problem with most dry erase lap boards on the market right now is flimsy construction that chips & breaks before you even get them... You need a quality product that you can feel confident letting your little ones play with. Which means you keep having to buy paper which is wasteful & expensive! Safety is most important, so you have to be able to confidently hand children a board, knowing they won't get scratched or cut with sharp corners or edges. 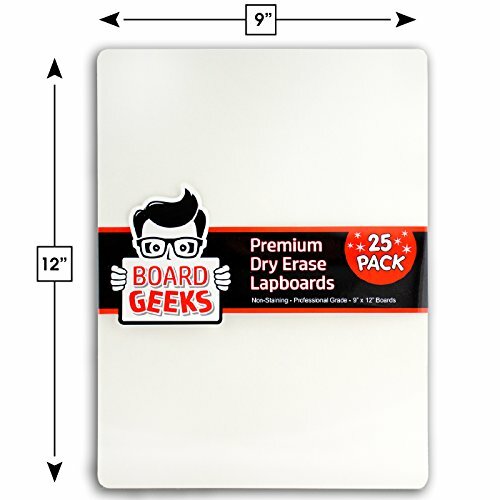 So, if you're a Parent or Teacher who doesn't have a space to store large boards or packs & pack of paper, "Board Geeks Dry Erase Lapboard" is the answer you've been looking for! FUNCTIONAL! 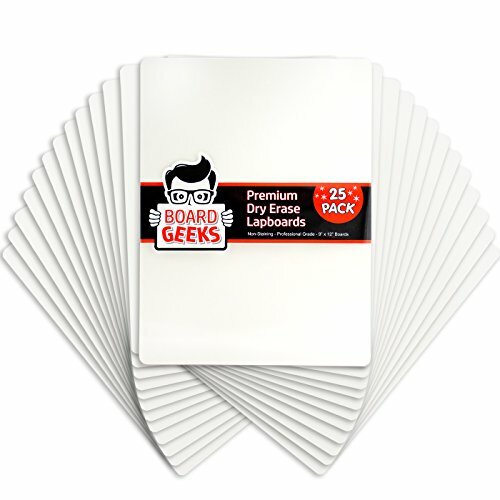 This spacious, single-sided, durable dry erase lapboard provides 9 x 12 inches of portable blank plain white writing space for all of your education & entertainment needs. SUPERIOR PERFORMANCE! Well packaged to ensure no chips or scratches allows you to be confident that your boards will arrive in pristine condition. 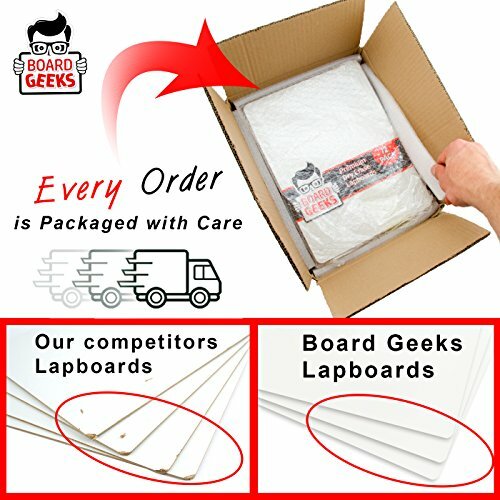 The set is bubble wrapped then placed in a heavy-duty cardboard box surrounded by foam to guarantee your boards are ready to use out-of-the-box! DELIVERS! 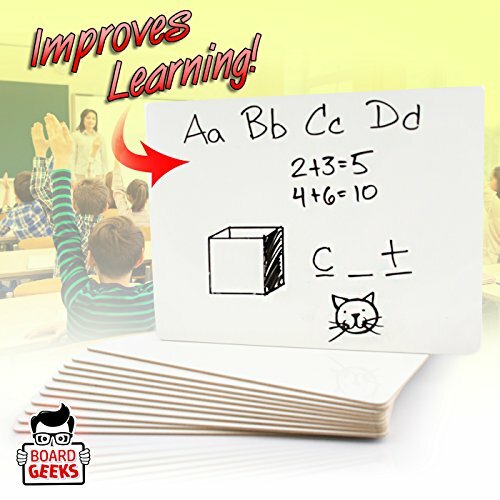 Pack of 25 boards provides you the ability to have enough for all your needs: different subjects, large class size, etc. 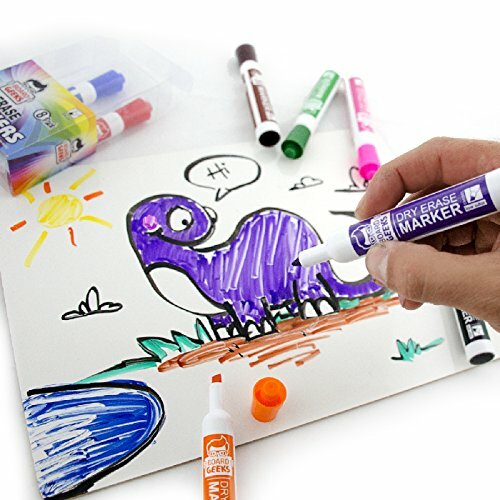 Use our Board Geeks dry erase markers with this compact, environmentally friendly alternative to paper! 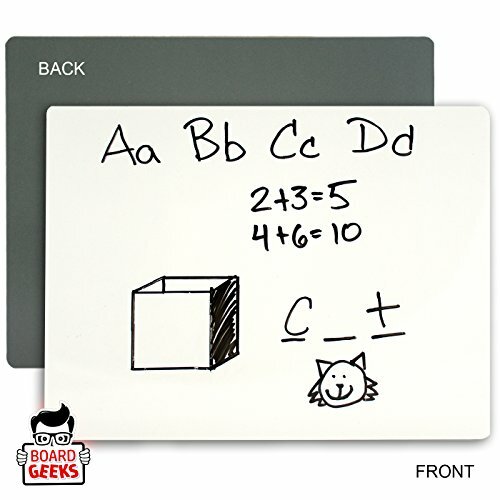 If you have any questions about this product by Board Geeks, contact us by completing and submitting the form below. If you are looking for a specif part number, please include it with your message.